My family is coming in from out of town in a few days and will be here for an extended weekend. Besides the general excitement I'm getting from that, I've been running around a bit today cleaning and moving things around to accommodate the extra bodies that will need a place to sleep. Our house has 4 bedrooms, only 2 of which actually function as bedrooms (the other 2 are currently my office/the kid's playroom and the sewing room.) 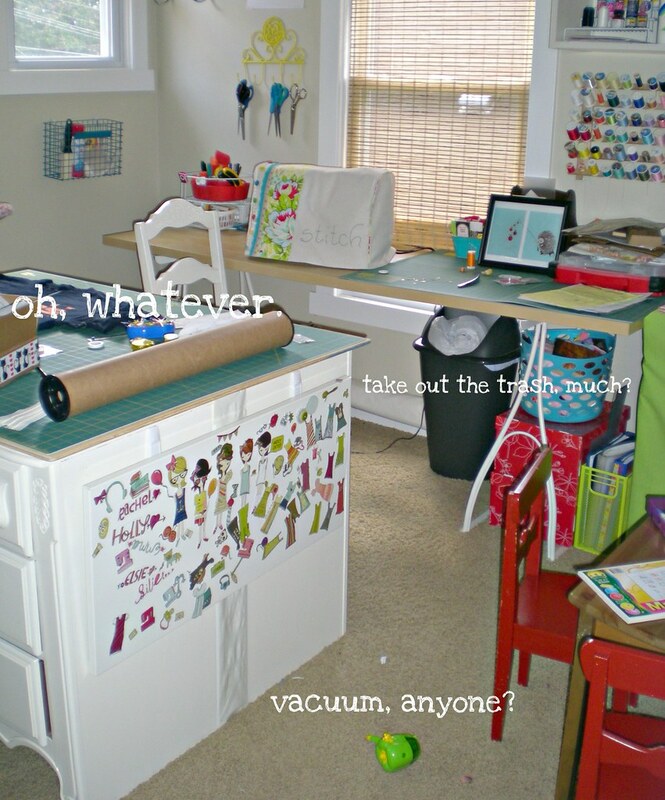 The office/playroom gets picked up fairly regularly, but sadly ye ole sewing room had not been truly cleaned up since my last big project. Jeeps . . . I had to go back to September to find that post. For shame, me. For SHAME. Actually . . . it was looking much worse than this. Yipes. Anyway, that was on the agenda for today. A much needed cleaning up with a wee dose of stash and dash reorganization thrown in for good measure. 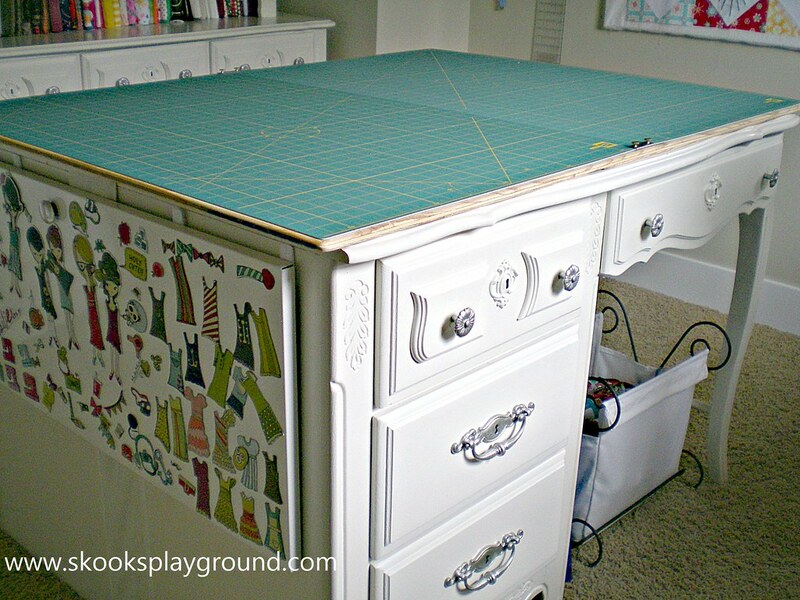 I had to disassemble the cutting table for the time being so there would be room for an air mattress on the floor in there (I kind of dream of someday having a Murphy Bed in at least one of our "extra" rooms so that guests don't have to rock the air mattress - - let's face it . . . most people don't have stellar experiences on those things). and relegating the dresser and desk to opposite walls. WOAH, DOG. 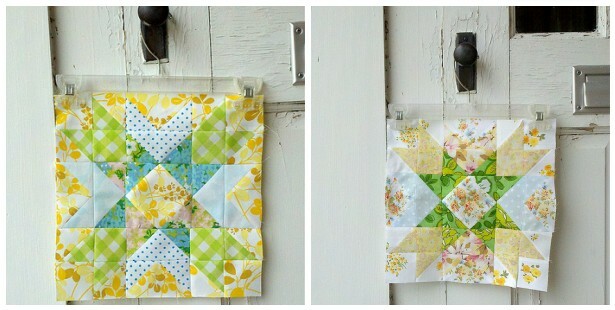 There was a lot of thread and little trimmings and stuff sitting about when I moved those things to the wall. It would definitely not be my preference to house a sewing room in a place with carpeted flooring for that very reason, but hey . . . 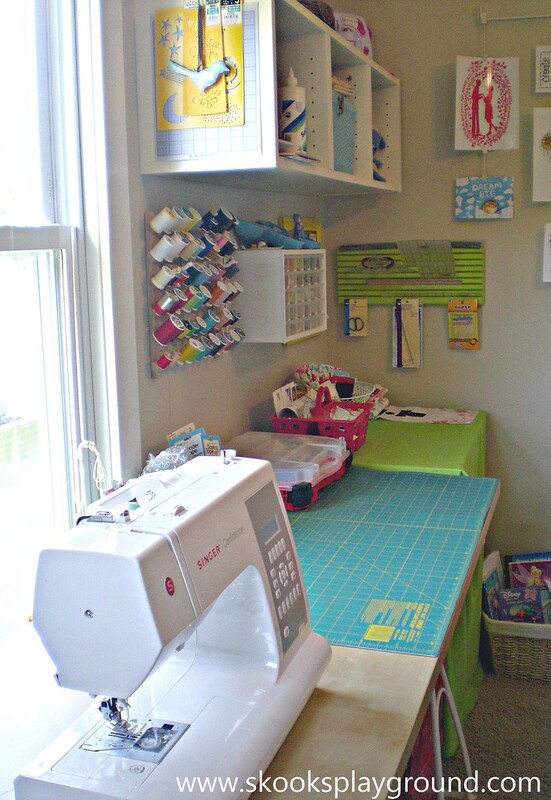 I have my own sewing room! I'm certainly not beefing about it. I want to give a special shout-out and thank you kindly to the lovely Miss Sarah for angeling a few blocks for me when a few of the group members went missing in action awhile back. 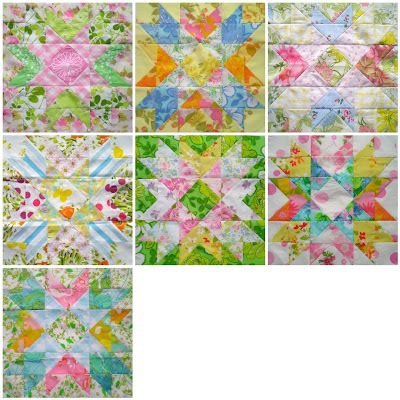 I had been feeling every so slightly sour about the lack of follow through, but all of those feelings just melted away when Sarah offered to make and send me some extra blocks so I could finish my quilt. The kindness of "strangers" never ceases to amaze me.